Recently several prominent figures in the Dota 2 community have published statements on behavior in public matches (“pubs”). Streamer and TI panelist Brian “BSJ” Canavan published a statement on an individual account known as “Venom” ruining a huge number of his games. 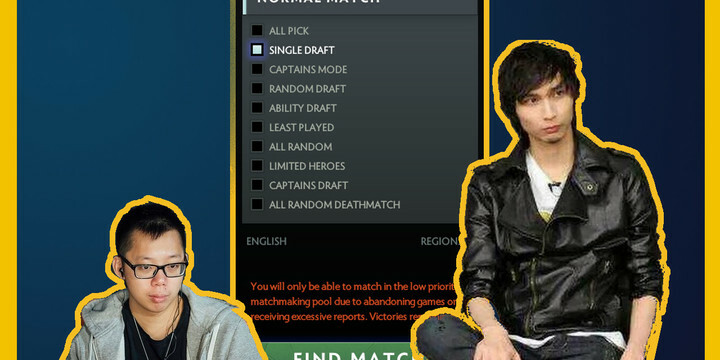 Professional player David “Moonmeander” Tan wrote his own message to the Dota 2 community on toxicity in high level pubs and how many players have learned to circumvent the 6-month bans introduced by Valve with 7.08 in Spring 2018. In between these statements, former TI player and popular streamer WehSing “Singsing” Yuen tweeted about a friend who had picked up Dota 2 for the first time. She suffered 23 losses in 26 games, “meeting 1 to 5 smurfs every single match”. Singsing ended his tweet with a question that’s bothered me a lot lately. How can we expect people, either new players or those who’ve taken extended breaks, to start playing Dota 2 [again] in 2019? been following the short dota journey of a new player friend of mine, going a total of 3 wins and 23 losses in her first 26 games. pretty much meeting 1 to 5 smurfs every single match. Are these two different issues? I imagine some readers will think these are separate problems. For those new to these issues, smurfing is the practice of playing on a separate, lower MMR account. Presumably the most common reason is to get easier, ostensibly more enjoyable games, or perhaps experiment with new heroes and/or builds without losing MMR on the player’s ‘main’ account. However, a reasonable number of high level players have resorted to smurfing to reduce queue times or to bypass party MMR limitations when playing with friends. Smurfing is naturally more of a problem in contexts where creating a new account is low cost: Dota 2, for example, uses a free-to-play model, but offsets this somewhat with a requirement that new accounts complete a specified number of games before queueing for ranked play. People in our community need to understand this behavior is not isolated. To be completely transparent, I have never reached 5k+ MMR on my own account (I was just over 4k when I played ranked regularly) and so have not solo queued at this level, and certainly make no claims to sainthood myself. However, I have worked alongside (at events and otherwise) enough high-level players, watching and occasionally playing alongside them, to say that if anything, toxicity in high level pubs is probably underreported. One NA coach and former pro once told me, “playing pubs is a lot like practicing child psychology”. He was not exaggerating. I’ve sat behind multiple 6k+ players queueing for 5+ ranked matches in one sitting where over half their games featured some type of intentional feeding or other extreme griefing. I can also tell you with certainty that this behavior occurs in all regions. With longer average game times than virtually any other title and no surrender option, players can effectively be trapped with toxic teammates for extended periods. Toxicity is arguably a bigger problem in Dota 2 than in most competitive online games. With longer average game times than virtually any other title and no surrender option, players can effectively be trapped with toxic teammates for extended periods. This is exacerbated at high levels of play, where the scarcity of high MMR accounts means that players are more likely to be matched together in consecutive games. Even worse, as a mature title with significant presence on Twitch and Reddit, behavior naturally ‘trickles down’ from high MMR to lower tier pubs. How do other titles handle toxicity? It is puzzling then, that Dota 2 in many ways seems to do less to combat toxicity than other esports titles. Fellow Valve title Counterstrike: Global Offensive (CS:GO) features an ‘overwatch’ system where accounts are flagged for review by human investigators, who manually watch replay(s) and may issue bans from 30 days to permanent. This system should not be confused with the Blizzard title Overwatch, which is itself among the more aggressive at monitoring and punishing toxicity, recently announcing bans of over 18,000 accounts in South Korea alone, including following a regional practice of publicly displaying these accounts’ names on Battle.net forums. Though perhaps controversial, both Overwatch and Riot’s League of Legends also explicitly hold players who compete in professional events to a higher standard of behavior. As recently as October, Riot handed down twelve formal warnings and four fines to players across five regions found to have exhibited “negative behavior” in solo queue. What can be done in Dota? Regardless of which and where humans should be involved, it bears emphasizing that many griefing behaviors in Dota 2 are identifiable via algorithm. Feeding couriers, dropping/destroying items, and/or “running down mid” are all detectable via replay parsing, similar in complexity (at least for several common behaviors) to gosu.ai’s cheat detector. It’s important in these discussions to acknowledge that any solution, regardless of its combination of algorithm and human review, will have notable flaws. I do, however, strongly believe there are many solutions that are clearly better than what’s being done now. In discussing these issues as a community, it’s vital that we not allow the perfect to be the enemy of the good. I’ll close with two thoughts. First, I think dealing directly with griefing and toxicity is much lower hanging fruit than going after smurfing directly. While I do see the two as related, discouraging or explicitly punishing smurfing is a much harder problem and brings in other issues including the matchmaking/MMR algorithms, LAN cafes vs home PCs, and more. Second, as I’ve written in other contexts, action on Valve’s part is a necessary part of the solution, and clearer communication would go a long way toward dealing with the problem on an ongoing basis. Valve’s attitude in many situations tends toward “if we make rules public, people will exploit them”. While it’s obvious that the full set of parameters for cheat and griefing detection shouldn’t be made public, Valve rarely shares even a broad outline of their goals and philosophy regarding these problems. These aren’t easy issues. 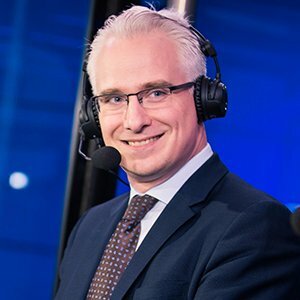 There are a lot of variables in play, and I anticipate a lot of disagreement, particularly on questions regarding professional players and prominent streamers. It is vital we not allow these questions to distract from the underlying problem: Right now pub Dota 2 simply isn’t in a good place. It’s up to the community and Valve to do something about it. How would you like Valve to handle toxicity in pubs?